Dave Montgomery has put together a rather comprehensive list of volunteer opportunities both at Collington and in greater Prince George’s County. You can find this list under the Getting Around tab –> Volunteer Opportunities. Or click here to see the page now! For many new residents, exactly where Collington is located is something of a mystery. Mitchellville? Bowie? Whose local government do we fall under? Do we have a mayor? A school board? The answer is we are not part of any of incorporated city or town with its own local government. We live in an unincorporated part of Prince George’s County, Maryland, and are under the jurisdiction of the County government. We are fortunate that one of our newer residents, Mary Godfrey, has lived here most of her life and worked for the County government in a number of important positions. 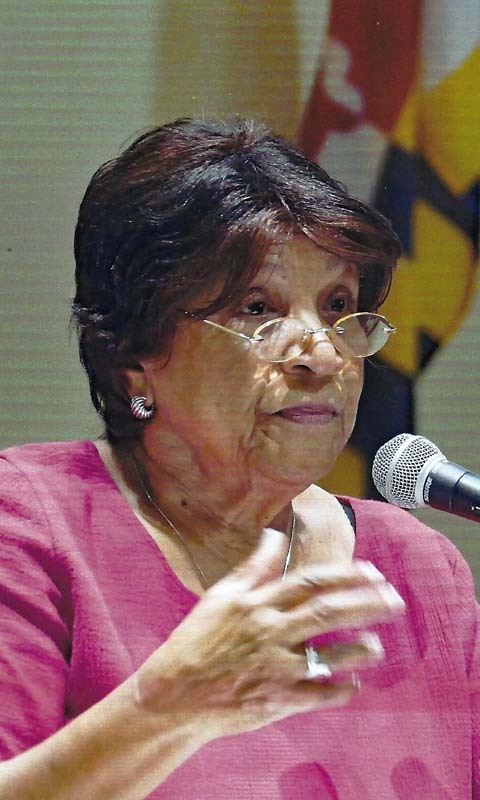 At the October 24 meeting of the Collington chapter of MaCCRA (Maryland Continuing Care Residents Association) Mary Godfrey spoke of her long-term career in personnel as well as director of Parks and Recreation. Her talk covered the demographics of the county as well as the function and roles of the county executive, the council members, the elected offices and other 2018 ballot issues. She stressed how important it was for Collington residents to stay informed so that they could vote in the general election in November 2018 and other elections that influence the Sixth District, where Collington is located. MaCCRA members have work to do! Please join the Collington Chapter of MaCCRA. MaCCRA is the only organization which is solely dedicated to protecting and advancing the interests of residents of continuing care retirement communities through advocacy and education. Contact Charlotte Melichar at cmelichar@yahoo.com for information about the annual dues.